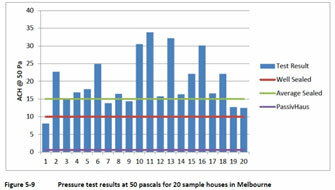 A Variable Vapour Control Membrane is not really 'intelligent' as claimed, Why? Because it doesn't sense moisture. Nor is it capable of detecting which side the moisture is on. As it get progressively damp with moisture from its environment, it undergoes a physical change opening up at the molecular level to allow a greater number of water molecules migrate through at a faster rate. A potential problem may occur with allowing a state of open vapour diffusion through to the frame cavity at just the wrong time, (when it is winter conditions on the outside and it should be in retarding mode) is that it can result in damaging excess moisture condensing on the frame. For example, set in winter, an 'induced' change may result from a classroom of 25 energised children that suddenly arrives, with the ability to generate a large amount of humidity in a very short period of time! Or a newly plastered interior or a newly screeded heated flooring system. These activities create potential to generate massive amounts of humidity rapidly into the air. The so called 'intelligent' VVCM opens up and allows vapour diffusion into the frame cavity. Due to the winter temperature in the frame cavity, this may result in condensation within the frame. The same may result in public buildings with transient populations or intense activity areas or pool areas or flat roofs which frequently have no ventilated rear cavity area. If this is happens often enough, the end result is structural damage. Research by the Aachen Institute of Building Damage Research and Applied Building Physics found that because of their inability to sense which side the moisture is on, Variable Vapour Control membranes opened up with 'induced' changes, resulting is structural damage. Majrex® scored another world first. It is the FIRST Vapour Control membrane to be awarded component certification by the Passive House Institute. This is the ultimate accolade for such a membrane, and one of the toughest to obtain. Suggesting that buildings must be allowed to 'breathe' is a throwback to the Victorian age. 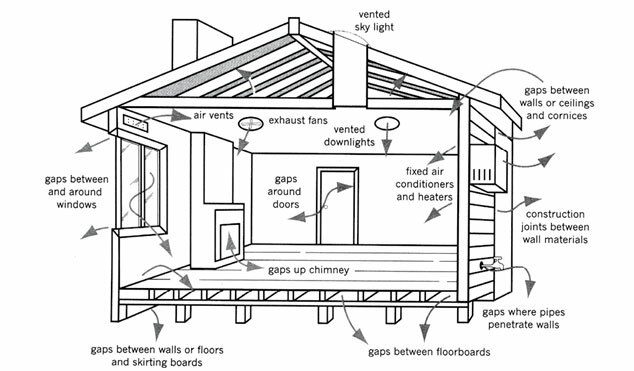 An energy-efficient home must be as airtight as possible. 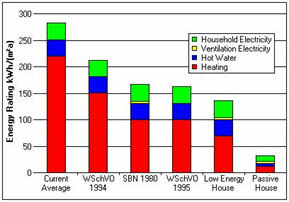 Current 6 star homes have an average 15ACH...a travesty for the owner and the environment. An Airtight (High Performance low energy) home will be up to 5 times more energy efficient than a standard leaky home according to the Fraunhofer Institute of Construction Physics. A handful of basic components working in synergy are needed to make this happen. Edward Mazria is correct in his statement that architects control the global thermostat.